We know what you’re thinking: if you are a typical American college student, in the traditional age range of 18-24, then you never get sick, are impervious to injury, and very well may be immortal. That’s fine – we’re not talking to you, if that’s the case. But for all you non-superhumans, the adult responsibility of college includes the adult responsibility of healthcare. One of the first major pieces of legislation passed under President Obama was the Affordable Care Act, signed in 2010. According to the ACA – or Obamacare, as you may have heard it called – every American is required to have health insurance. To make that goal a reality, the ACA also set up an online marketplace for consumers to buy insurance; set standards for coverage and pricing for insurance companies; and developed a system of government subsidies to help low- and middle-class families and individuals afford a plan. 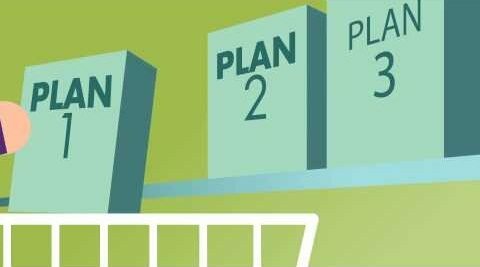 Because of the ACA, some aspects of health insurance are simpler (you can buy a plan through a single, regulated system where you can compare all available plans conveniently), but other aspects have become more complicated (what qualifies as “affordable” can be confusing, leading to what has been called the “kid glitch” or “family glitch”). If you’re wondering what your choices are as a college student, Value Colleges is here to lay it all out. If you’re still under 26 years old, the ACA allows you to stay on your parents’ health insurance plan, even if you’re no longer an official dependent on their taxes. Lawmakers included this policy because of the difficulty young college graduates have encountered on the job market; with so many unemployed or underemployed 20-somethings, the individual healthcare mandate could be considered a financial hardship. It’s also a great option if you’re attending a college near your hometown, since you can stay with your family doctor and not go through the often-frustrating process of finding a new provider. 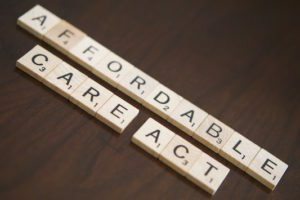 When the ACA was passed, the federal government set up a nation-wide insurance exchange (also called The Marketplace) for consumers to compare plans and get federally-subsidized plans. If you’re within 400% of the Federal Poverty Level – and if you’re a full-time student, you probably are – then you are entitled to a subsidy to make monthly premium costs more affordable. The Marketplace also offer a Catastrophic Care plan for students under age 30 living in states that chose not to expand Medicaid (see below) and who cannot find affordable coverage (within 8% of their income). It’s what it sounds like – pretty much only good if you suffer a catastrophe, because even though premiums are low, deductibles are very high ($6,850 in 2016). If you just graduated and need to enroll, special enrollment (outside the normal time frame) is possible with a major life change. Around half of US colleges and universities offer SHIPS – Student Health Insurance Plans. 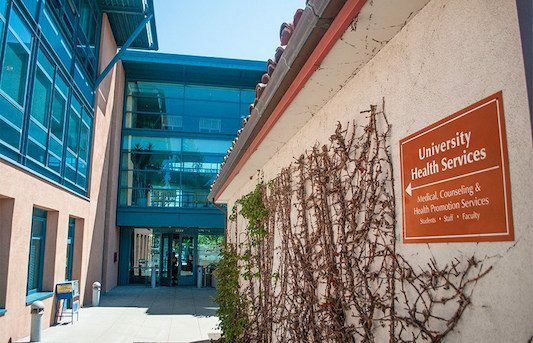 Honestly, they’re not usually the best plans – they may not be very comprehensive, they usually have high co-pays, and you may only be able to use the campus health center. Plus, you can be dropped if your enrollment status changes (most are only for full-time residential students). On the other hand, if it’s the best you can get, premiums are usually rolled into your tuition and fees, so it’s convenient, and if you’re paying with student loans, you’re just putting the cost off onto future you (who is totally cool with it, don’t worry). Many students don’t realize that their low income qualifies them for Medicaid. It depends on what state you’re in; the ACA expanded Medicaid eligibility to almost all low-income citizens, but individual states are not required to abide by the decision. States that did not expand Medicaid include all of the Southern states, many Midwestern states, and Maine. In these states, only disabled adults are eligible for Medicaid. The biggest exception is former foster youth, who are eligible for Medicaid until the age of 26, no matter what their income. So, if you: are an independent adult (not a legal dependent on your parents’ taxes); live in the Northeast, New England, West Coast, and around half of the Midwest; and make less than $16,500 a year, you probably qualify for Medicaid. Lucky you – free healthcare. Even if you don’t qualify for yourself, if you had children they may still qualify for Medicaid or for the Children’s Health Insurance Program (CHIP). Most states provide CHIP for families within 200% of the Federal Poverty Level (around $44,700 for a family of four); some states go as high as 300% of the FPL. You can tell your parents “no thanks,” bypass the Marketplace, shrug off your school’s student plan, accept that your state just doesn’t allow you to get Medicaid, and pony up the money for a private health plan. But let’s face it: if you are a typical college student, probably working a part-time job, but maybe not, a private plan is not a favorable option. You’ll pay the full premium amount, which will be high without the federal subsidy. It’s not a good idea. That leads to your last option: get no health insurance at all. It’s risky. If you get sick, you’ll pay everything – every shot, every bandage, every pill, every minute with a doctor. There are no freebies in American healthcare. And if you get very sick or seriously injured, it’s going to cost a lot. Most of the time providers will give cash-paying patients a discount, but even then, people have gone bankrupt trying to pay the discounted price. Secondly, even if you don’t get sick, the ACA requires you to have insurance or to pay a fine, which is (as of 2016) currently 2.5% of your income or $695 per adult, whichever is higher. You may hope to not get sick and fly under the radar (say, by not paying your income taxes – another bad idea); you probably won’t get away with it, since most schools require proof of coverage for liabilities – especially if you’re a residential student. So let’s just call that “Not a reasonable option.” One way or another, you’re going to pay. CDC.gov – The website for the federal Centers for Disease Control gives citizens vital information about public health concerns, from cancer to Zika. Students who are interested in studying abroad will find a lot of valuable facts and advice from the CDC’s page on travel. CMS.gov – The Centers for Medicare & Medicaid Services has all that you need to know about qualifying, applying for, and managing Medicare or Medicaid. If you want to know if you qualify, here’s your answer. Healthcare.gov — Healthcare.gov is the federal insurance exchange system for American citizens to buy health insurance with federal subsidies. Seventeen states (including New York, Kentucky, and California) have set up their own state exchanges; all others default to the federal Healthcare.gov exchange. HealthFinder.gov – This is a Department of Health and Human Services website that acts as a clearinghouse of information on health-related questions, including everything from symptoms and care for prevalent diseases, help finding care providers near you, and tips for preventing illness. HHS.gov – The website of the US Department of Health and Human Services has a full and comprehensive explanation of the ACA, information for the various programs and services that the HHS offers, and data about public health threats, among other valuable material. Deductible – The deductible is the amount you have to pay for medical services during the year before insurance will kick in; i.e., if you have a $5000 deductible, you have to pay $5000 first – then insurance will start paying. Usually, insurance plans offer a trade-off – for a lower monthly bill (premium), you will have to pay a higher deductible. Exchanges – Part of the ACA, health care exchanges (also called marketplaces) are the officially-organized means for insurance companies to offer plans. The exchanges set standards, allow consumers to compare and contrast plans, and administrate government subsidies. 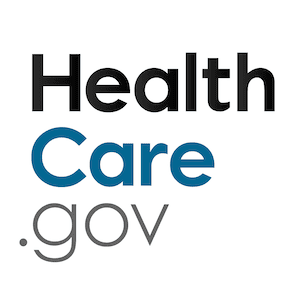 Healthcare.gov is the official federal exchange portal. Mandates – There are two main mandates in the ACA: the individual mandate requires each person to hold health insurance, whether through an employer, a private plan, or Medicare/Medicaid; the employer mandate requires every business employing more than 50 people to offer an affordable health insurance plan. There are, of course, many wrinkles, loopholes, and exceptions to both mandates, but in general, every person must have insurance, and every employer must offer insurance. Out-of-Network – When a doctor, hospital, or practice is out-of-network, they do not have an agreement with your insurance company or plan. That means any service you receive from an out-of-network caregiver will not be covered by your insurance, or will be covered at a higher cost. Out-of-Pocket Expense – Out-of-pocket expense, helpfully, is totally literal – it’s the amount of money you have to pay yourself for medical care, including co-pays, deductibles, and services your insurance doesn’t cover. Pre-Existing Condition – One of the least-controversial provisions of the ACA put an end to pre-existing conditions. A pre-existing condition, generally, is a medical condition or illness you had before contracting with an insurance company. Before the ACA, insurance companies could refuse to pay medical bills related to a pre-existing condition, or deny coverage at all; the ACA made such exclusionary policies illegal. Premium – The premium is your monthly bill for insurance. Under the ACA, qualifying individuals or families can receive government subsidies that lower the costs of the premium. Provider – In health-insurance terms, the provider is whoever provides health services; it may be a physician, a hospital, a clinic, and so on. Insurance companies will only pay out to providers who are in-network (see out-of-network, above). Subsidies – Under the ACA, the federal government uses a system of subsidies to lower premium costs for low and middle-income families. The amount of the subsidy depends on where the family income falls in relation to the official Federal Poverty Level; families closer to the FPL get a higher subsidy, those farther from it get less. The subsidy system is intended to make insurance more affordable for ordinary Americans, though it can get tricky if your income changes from one year to the next, as it is based on last year’s taxes and your projected income. Tax Credit – The federal insurance subsidies are administrated as advance tax credits on the current year’s taxes. If your income changes during the year and you qualify for a higher subsidy (if your income goes down, for instance), you will receive the money back in a tax rebate; if your income goes up and you qualify for less in subsidies, you’ll have to pay that money back on your federal income taxes next April.